With over 10 years of experience, Stealth Security Systems has provided full security to both commercial and residential customers with 100% satisfaction. Security Technology has advanced to various platforms including smart phones, which are able to let you monitor your home or business within the palm of your hand. We are able to supply this security service in addition to many others. Have a look at our recent works! We deliver the best services in the market. Interested in our prices? We offer three unit prices which include: Economy, Deluxe and Professional. Each category contains three price options for you to choose the best security service for your property. Thank you guys for installing security cameras at my house. You guys somehow managed to cover all 4000 square feet. Wonderful service and finished the job on a timely manner. Would highly recommend to anyone. 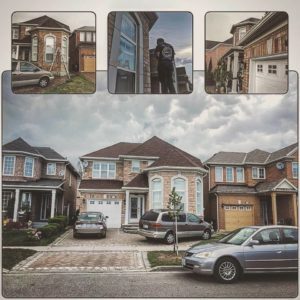 Stealth Security Systems is a very professional and knowledgeable team when it comes to security cameras. They did an excellent job with clean fitting and attention to detail on the installation. We are happy with the quality of the work and the cameras they installed in our house. 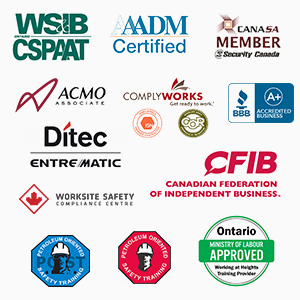 Their concern for the well-being of their customers is what makes them truly trustworthy professionals. Will definitely recommend them in future! After evaluating a handful of security system providers since i acquired my own Pet Valu franchise store, I chose Stealth Security Systems and I couldn't be happier! The service provided by Nish himself was outstanding. His extensive expertise and knowledge won me over. I am very pleased with the excellent customer service provided by him and his team. I would highly recommend Stealth Security Systems! After evaluating and narrowing down to a handful of security system providers I chose Stealth Security Systems and I couldn't be happier. I met with the crew and was sold on the extensive expertise and knowledge of the different tiers in security surveillance. The team provided enough information for me to make an informed decision. Every interaction with Stealth Security has been a pleasant one. We hired Stealth Security for all 3 of our businesses and couldn't be happier. Their professionalism coupled with their knowledge and work ethic made it such a pleasure to work with them. First class company all the way. Its a breath of fresh air to have people who know what time lines and budgets mean. i look forward to working with them again. Punctual, knowledgeable and clean quality work. They even installed during business hours without any hassle. Got me the exact model surveillance system with all the features I looked for. Reasonable prices too. Stealth security is an extremely reliable company who is professional, knowledgeable and friendly. Their customer service is top notch and very reliable. Nish is always prompt and ensures everything gets done as promised even in the worst of weather conditions if capable. My family and I strongly recommend Stealth security for all your security needs. You will not regret going with them. We hired Stealth Security to install and provide a completely new security system, monitoring and audio visual installation at our new business. They were extremely professional and made smart recommendations that improved our overall concept. They're work was impeccable and they delivered within the time frame promised. Hired Stealth Security Guys to do my exterior pot lights for my house. Not only did they do a professional job to make the outside light up nice, they did a superb and clean job. I would recommend their service to anyone with out any hesitation. Trust me you would me amazed what the results. Thanks guys. Keep up the good work. Over 5,000 people have put their trust in CCTV. How about you?